STEAG Energy Services GmbH (SES) has over 30 years of experience in the design and operation of power plants and is one of the leading companies in the field of thermal treatment of municipal solid waste. In Germany alone, almost a quarter of all domestic waste incineration plants have been planned and/or operated by STEAG. With a constant volume of total municipal solid waste (including all recyclable material such as glass, paper, metal, etc.) of around 50 million tons per year, the proportionate volume of domestic waste (exclusively thermally recyclable) has risen sharply over the last ten years. This development presents the operators of thermal waste treatment plants with the demanding challenge of continuing to operate the plants economically, efficiently and in an environmentally conscious manner. We take up this challenge and support commercial as well as municipal partners with our background in the implementation of projects for the sustainable and future-oriented provision of electricity and heat from domestic and municipal waste. Whatever the requirements of your project, we make them our own. From expert opinions, planning, implementation and operational management to optimization, our specialists are ready to take on any task. 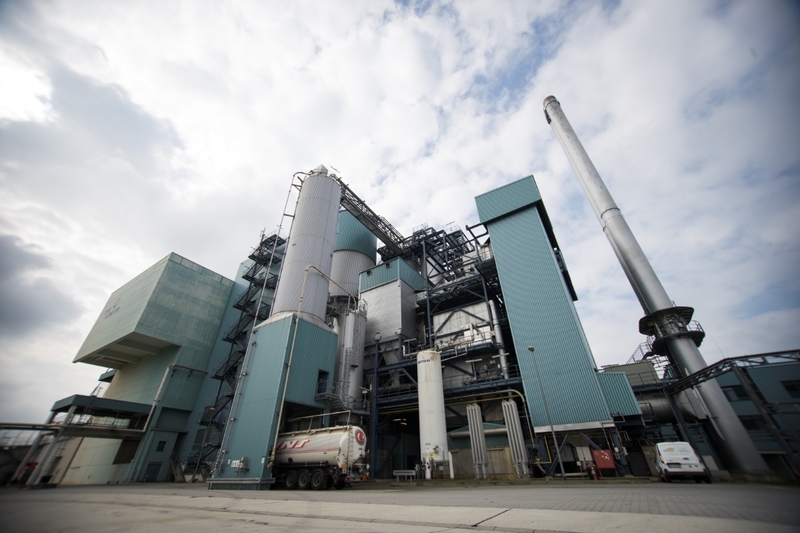 The thermal waste treatment plant for domestic waste, bulky waste, light industrial and municipal solid waste in Lauta, Germany is a wholly owned subsidiary of STEAG GmbH. With a throughput of approx. 225,000 tons p.a., safe, modern and environmentally friendly waste disposal is provided for more than 1 million inhabitants. The engineers of STEAG Energy Services have contributed their know-how as project developers and planners in all project phases, from concept planning, tendering, award of contracts and approval planning to construction, commissioning and handover to the operator. Subsequently, various measures to optimize plant operation were carried out (e.g. a device for waste baling and steam decoupling for a neighboring industrial company). With our experience of many years as planners, operators and owners, we support you in a versatile and flexible manner in the area of sustainable economic and energetic use of domestic and municipal waste. We ensure that the capacity of your plant is expanded by innovative engineering and is at the cutting edge of technology. We also take care of the renewal of environmental protection systems, efficient management and, if necessary, training of operating personnel. Among other things, our self-developed, highly specialized IT solutions for plant monitoring and optimization, operational management and maintenance are then used. The plants planned and / or operated by STEAG for the energetic use of domestic and municipal waste can not only supply approximately 1 million inhabitants with electricity annually, but also save approx. 1 million tons of climate-damaging CO2 emissions annually. These experiences are impressive. We are among the pioneers in the energetic use of domestic and municipal waste, we are technology consultants and your competent partner and problem solver. We accompany and support you in all phases of a project. The competence spectrum of our engineering team corresponds to the complexity of a waste incineration plant or a waste-to-energy plant. We benefit from the decades of experience we have gained worldwide in operating our own and third-party power plants-only a few engineering companies have this direct feedback. We combine engineering know-how, operating experience and IT knowledge for all types of power generation plants in one company.Our reference projects prove the versatility and standard of our work. We offer everything from a single source.